School’s out, the weather is beautiful and the sweet sounds of summer fill the air. 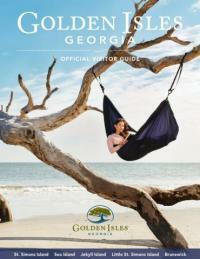 Summer is, without a doubt, the most popular season in the Golden Isles of Georgia. A pulsating, almost contagious spirit fills the air as families, couples and friends spend time in our great outdoors. The majestic marsh grasses are turning their vibrant green, the days are longer, and the sunrises and sunsets are more spectacular. Wait… is that even possible? The St. Simons Pier buzzes with activity as visitors and residents alike visit the locally-owned restaurants and shops lining Mallery Street. Fishermen reel in their bounty from the St. Simons Sound. Massive cargo ships make their way in and out of the waters between St. Simons and Jekyll islands, sounding their horns to welcome all who are outside enjoying the day. Our wildlife is also more lively. Playful pods of dolphins swim in the shallow waters off of our beaches. It’s not uncommon to see a group passing by just yards from the shore! Manatees gracefully meander in and out of our marinas, a very special animal to encounter. If you’ll be boating in the Golden Isles, please adhere to “no wake” zones and be mindful of marine animals that may be nearby. If you’re like many of our visitors, you’ll arrive by car and the thought of getting back in the car might just make you crazy. 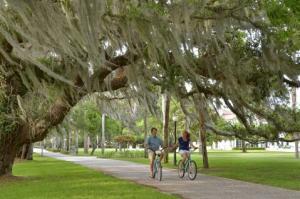 A wonderful way to explore the Golden Isles is by bike. There are more than 50 miles of paved bike paths on Jekyll and St. Simons islands combined. Spend an afternoon or two on either island and you’ll discover new nooks and crannies around the Golden Isles. Pedal your way to Jekyll Island’s new observation platform and Tupelo Trail at Horton Pond, or head out to the north end of St. Simons Island to Frederica Park’s botanical trail, dog park and labyrinth. Hands down, our most popular attraction is our beaches. Here you won’t find crowded beaches lined with high rise hotels and noisy crowds. Instead, you’ll be surrounded with clusters of shore birds and friendly, smiling faces. Swim in the waters, fly a kite, or walk up and down the beach in search of beautiful shells and sand dollars. Lifeguards are on duty on St. Simons Island during the summers on Mondays – Sundays 11:00am – 5:00pm. Excite in any activity you wish – browse more here. Newcastle Street in Historic Downtown Brunswick comes alive the first Friday of each month. A local-favorite event, many of the shops, galleries and restaurants along Newcastle Street stay open late, creating a promenade of days gone by. Discover talented local artists, sample fine Southern fare and make new friends all along the way. Any given weekend, you’ll probably hear smooth, melodic sounds flowing through our calm, coastal breezes. Four different concert series take place each month and chances are there’s probably one planned for the time you’ll be here this summer. A Little Light Music is put on by the Coastal Georgia Historical Society and is held on the lawn at the Lighthouse. 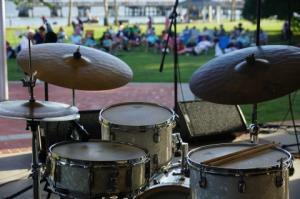 Sounds by the Sea, formerly Jazz in the Park, can be found at Neptune Park near the Casino building. Rhythm on the River takes place at Mary Ross Waterfront Park in downtown Brunswick – best of all, it’s free! Support great local charities at 2nd Sunday, whose location changes on a monthly basis. BYOCBS – Bring Your Own Chairs, Blankets & Snacks! Celebrating Independence Day in the Golden Isles has become a tradition for many families each summer. There’s something for everyone all across the Golden Isles: arts and crafts shows, parades, live music, and of course, fireworks! Partake in the Sunshine Festival on St. Simons Island, Brunswick’s Old Fashioned 4th of July, fireworks on Jekyll Island, a menagerie of exciting events at Sea Island, and more! To view a complete list of upcoming festivals and events, click here. 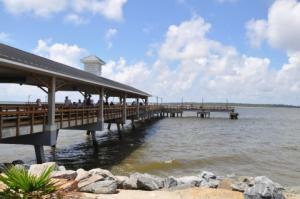 We can’t wait to welcome you to the Golden Isles this summer! Start planning your trip by viewing or ordering our Visitor Guide, or speak with one of our Concierge Specialists by calling 800-933-2627.